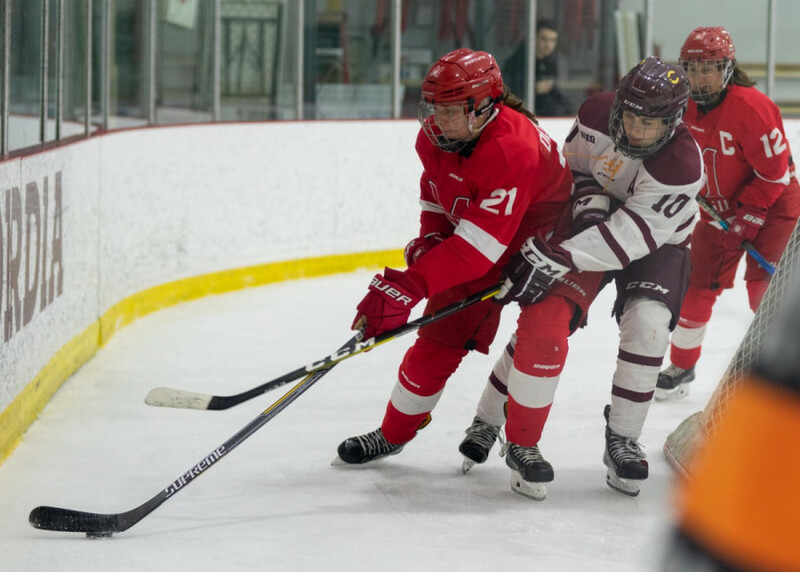 The Martlets spoiled Concordia’s plans early on when Stéphanie Desjardins scored high glove-side on Alice Philbert 57 seconds into the game. The early tally gave McGill the momentum for the better part of the period. Shana Walker extended McGill’s lead with 1:11 left in the first. The home side struck 12 seconds later on a quick rush right off the faceoff. Lidia Fillion’s second goal of the season brought the Stingers within a goals distance of their rival. Claudia Rodrigue and Audrey-Anne Rodrigue prepared the play for their teammate. 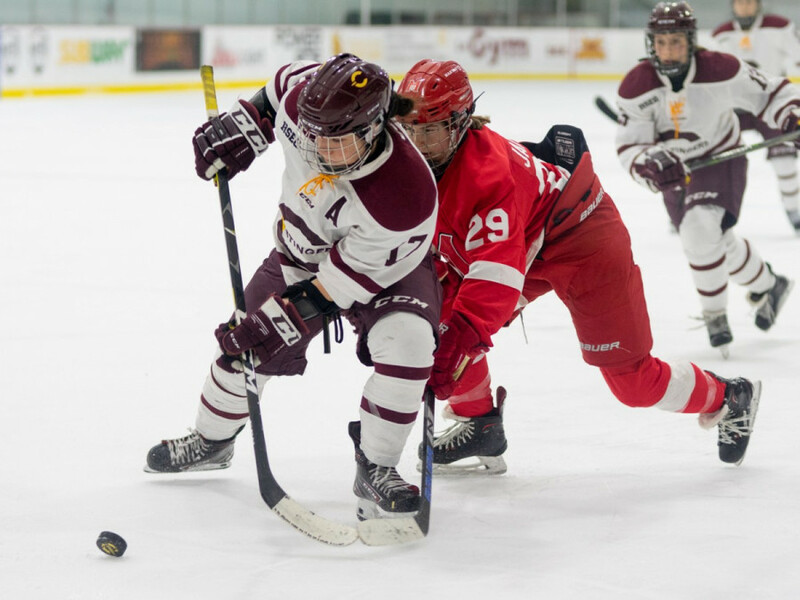 Fillion’s goal gave Concordia something to build on at the start of the second period. Coach Chu’s squad applied intense pressure right from the initial faceoff in the second. The hustle on the forecheck was much more evident in the second for the Stingers. Concordia’s pressure forced McGill’s play throughout the first half the second frame. The Stingers’ insistence forced their opponents into three consecutive icings. The heavy pressure also lead to a body checking minor awarded to McGill’s Alison MacKenzie. Despite some decent movement on the power play, the home team was unable to open quality shooting lanes. There is no doubt that a game-tying power play goal would have sent the game in a much different direction. But once again, the Stingers’ lack of opportunism prevented them from doing so. All that exciting pressure from the first half of the second was abruptly snapped when Marika Labrecque completed a quick two-on-one for McGill. Labrecque’s tally was the backbreaker for Concordia. The home side was awarded another player advantage in the second. Once again their inability to convert prevented them from coming back in the game. The third period was the story of the McGill squad. RSEQ points leader, Jade Downie-Landry, and Valérie Audet added to McGill’s lead in the third. It was Audrey Belzile who best described her team’s performance. McGill’s fifth goal prompted Chu to change her goalkeeper, bringing in veteran Katherine Purchase for the first time this season. Injuries had kept her out of the lineup for the first half of the season. Purchase will most likely be the starter for Concordia on Sunday as they face the Carleton Ravens. Leaving little time for adjustments between the two games. “We have to want to score. We have to bear down,” said Chu. She praised her players’ effort on the, but mentioned the team needing to feel the sense of urgency to score on the odd player rushes. This game will give the Stingers a chance to create some momentum for the road to the end of the season. They have won the two meetings against Carleton this season. If they can convert on their opportunities, Concordia should be able to add one to the victory column.